September 27 & 28th are National Alpaca Farm Days. 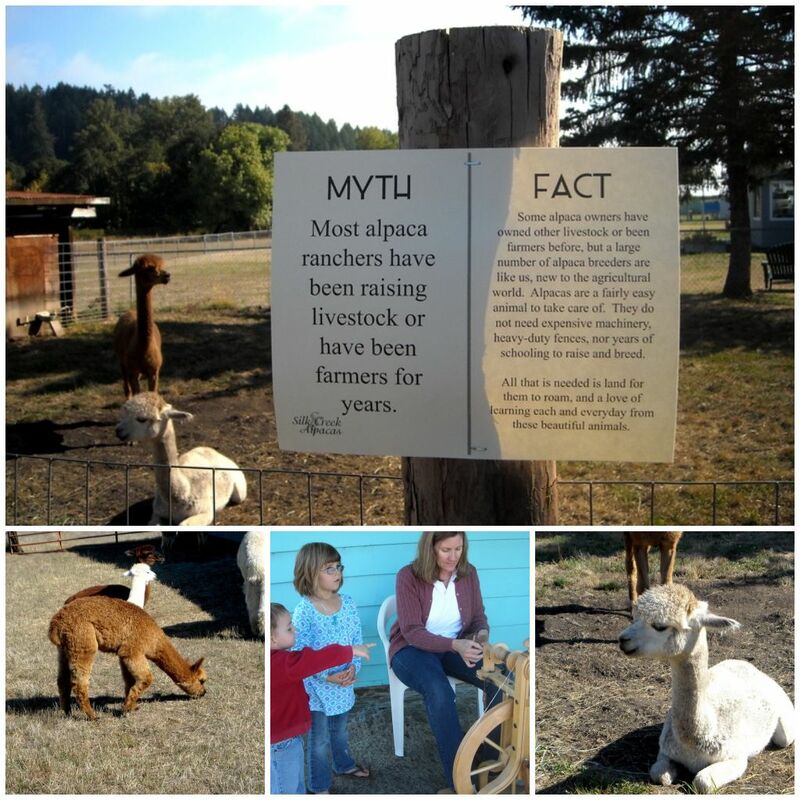 Luckily, my friend Bil and his wife, Julia, just opened their Alpaca farm in Cottage Grove, Oregon – Silk Creek Alpacas. They hosted an open house today. They had kettle corn (yum! ), trivia for the kids, coloring pages, bushels of fiber (very soft!) and, of course, two very friendly Alpaca farmers to answer questions. I met my best friend and her husband and with our combined three adorable kids in tow, we made the drive to Cottage Grove to check out the farm.We had a great time. The kids loved the “llamas” (yes, I know they aren’t the same thing, but you try to get a 2 year old to say Alpaca!). Bil and Julia have a beautiful home and great property. I’m thrilled for them. Another friend, Kim, was there, too, giving a spinning demonstration. Kim is a master knitter. I bow to her knitting greatness.